If you use two (or more!) 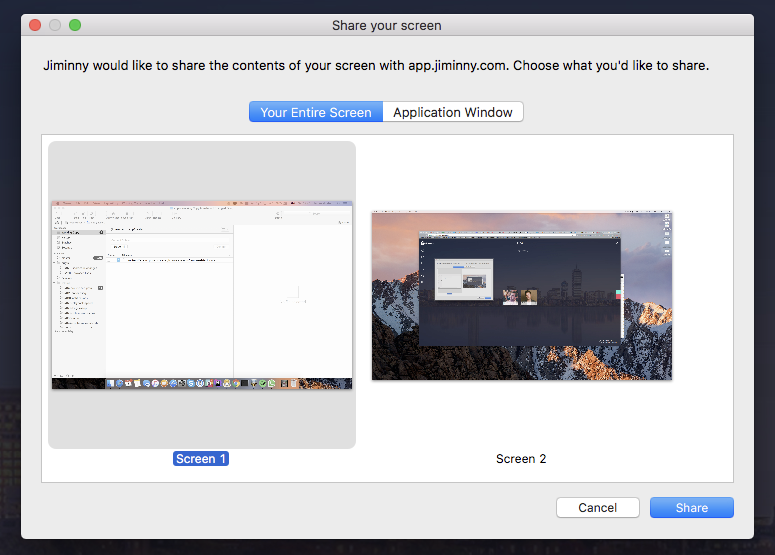 monitors, you can decide to share from either. The process is straightforward but slightly different depending on which browser you're using. 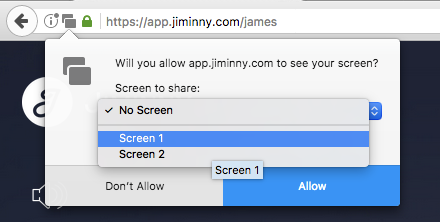 When you click the Share Screen button in the conference, you'll be prompted to choose which screen you'd like to share. From here you'll see a preview of the screen.